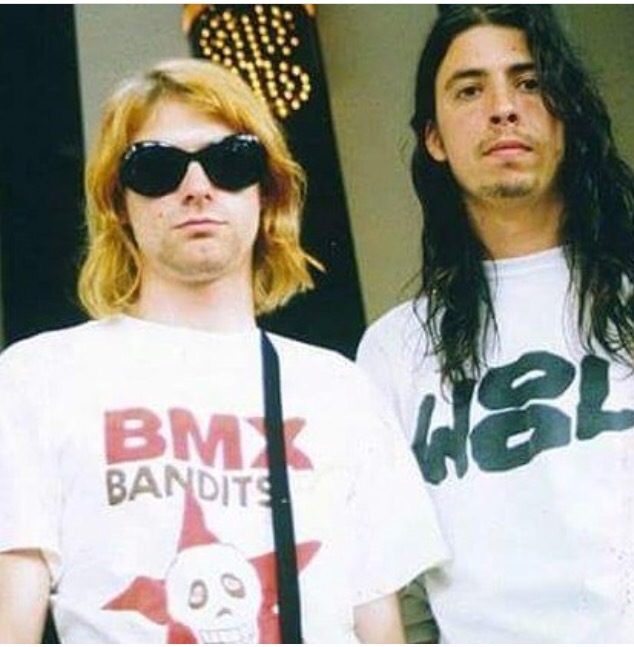 “If I could be in any band,” enthused Nirvana’s Kurt Cobain, “I’d be in BMX Bandits.” Not The Beatles. Not Black Sabbath. Not Led Zeppelin. But BMX Bandits, the cult band from Bellshill in Lanarkshire. This was no small claim. Back in 1992 when Nirvana was omnipresent, Kurt Cobain was in turmoil with himself. Months previously, his band had released Nevermind, the epoch-defining multi-million seller crammed full of Beatles-meets-Sabbath by way of Zeppelin radio-friendly slacker anthems, an album that would in time make Nirvana as definitive as some of those very acts. With a record company keen to milk the band for all they were worth, Cobain withdrew. Commercialism wasn’t a game he was keen to play. His two fellow band mates, the drummer in particular, were much more comfortable with their sudden and quite unexpected lofty status, but not Kurt. He sought solace in the music he wished he was able to put out; lo-fi, fragile, arty, tinged with pathos and a punk sensibility, but most of all, played and recorded for fun. Fun, it seems, was in inverse proportion to Nirvana’s record sales. 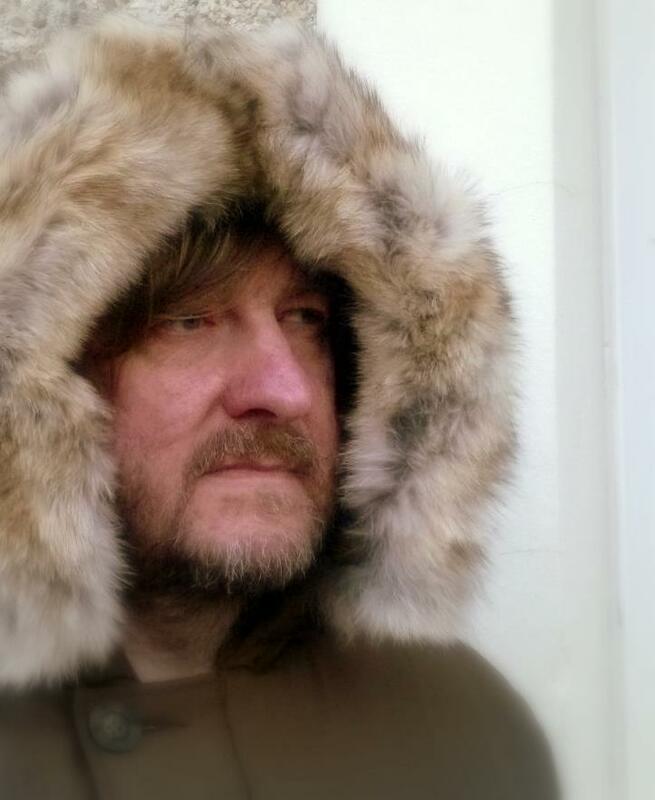 It’s not hard to see why the poster boy for 90’s disaffected youth held a flame for BMX Bandits. His favourite band, led by the enigmatic Duglas T Stewart has all those things in spades. “We’re just one of those bands,” summarises Duglas T Stewart, Bandit-in-chief for 30+ years and curator of one of our most-loved musical collectives, “that’s historically been lucky enough to have had, throughout all the line-up changes, great musicians. Norman Blake….Stu Kidd….Jim McCulloch….Francis MacDonald….Eugene Kelly…. Regardless of who they go off and play with, they’ll always remain a part of this band. Being in BMX Bandits is a bit like a stay at the Hotel California. You can check out, but you can never leave! To celebrate the release of BMX Bandits Forever, Duglas and co-vocalist Chloe Philip will lead their renegade 7-piece band in a couple of rare live outings. They’ll play the small-but-perfect Harbour Arts Centre in Irvine on the 18th March and following the album’s release, they’ll celebrate with a launch gig on May 27th at St Luke’s in Glasgow. 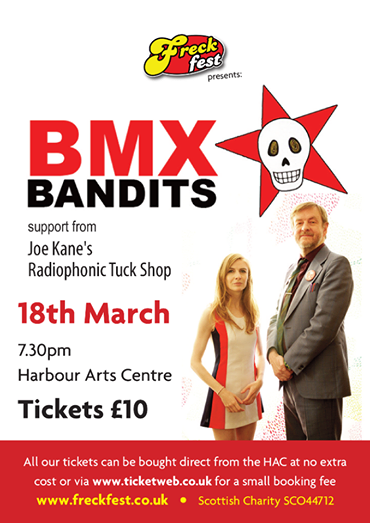 The Irvine date is particularly appealing, given that it’s 25 years since BMX Bandits last played the town. On that occassion, they played atop a flat-bed truck stage outside the famous Ship Inn, coincidentally next door to the HAC. Back then, Duglas and co. were just one of the many bands who found time to veer left at Glasgow and fit in a date on the Ayrshire coast. In recent years, it’s sadly, frustratingly, been less of a thing. “I’ve really vivid memories of that Irvine show,” recalls Duglas. “You tend to remember the more unusual shows. Eugenius were on the same bill. Gordon and Eugene were both ex-Bandits, so lots of our pals were there. There was no holding back with the audience. 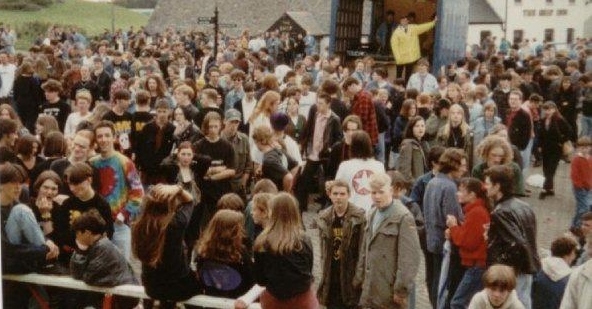 Sometimes at a Glasgow or Edinburgh show, the crowd can be a wee bit too cool for school. But the Irvine audience just went for it. It was a great time to be BMX Bandits. We’d just released ‘Life Goes On’, our first album for Creation and our stock was high. Alan McGee kept saying, ‘You’re gonnae be a hit! 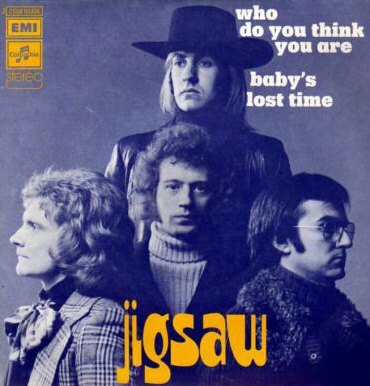 You’ll be in the charts!’ I’ve friends who’ve been lucky enough to have had singles, or in the case of Eugene who had Nirvana covering his songs and Joe (McAlinden) who did very nicely on the back of Rod Stewart recording one of his, friends who’ve made a lot of money from songwriting. I’m genuinely happy for them – we’ve all come from the same musical background, so in a funny way, their success is also my success. ‘Serious Drugs’ was the big BMX Bandits hit that never was. It was melodic, but it was still noisy, with loud guitars to the fore, yet totally non-macho. It flew in the face of what was hip at the time. Paul Weller has said since it’s the best single ever released on Creation and Radio 1 went so far as to A-List it, guaranteeing it so many plays a day. Unfortunately for us, its release coincided with Radio 1’s Anti-Drugs Week. A song called Serious Drugs, even if its message is very anti-drugs, could never be played over the week, so it had kinda flopped before it even had the chance to be a massive hit. Ironically, The Shamen chose to release ‘Ebeneezer Goode’ the very same week, a song that very clearly promotes drug use…..and Radio 1 found nothing wrong with it. That Irvine gig 25 years ago was, if memory serves me correctly, a really great gig. On a patch of land overlooking the harbour, 1000+ folk (the picture above doesn’t do it justice, believe me!) momentarily turned our wee part of the world into the best place on the planet. The Harbour Arts Centre holds just a fraction of that audience, and amazingly, there are still a handful of tickets left for their upcoming show. 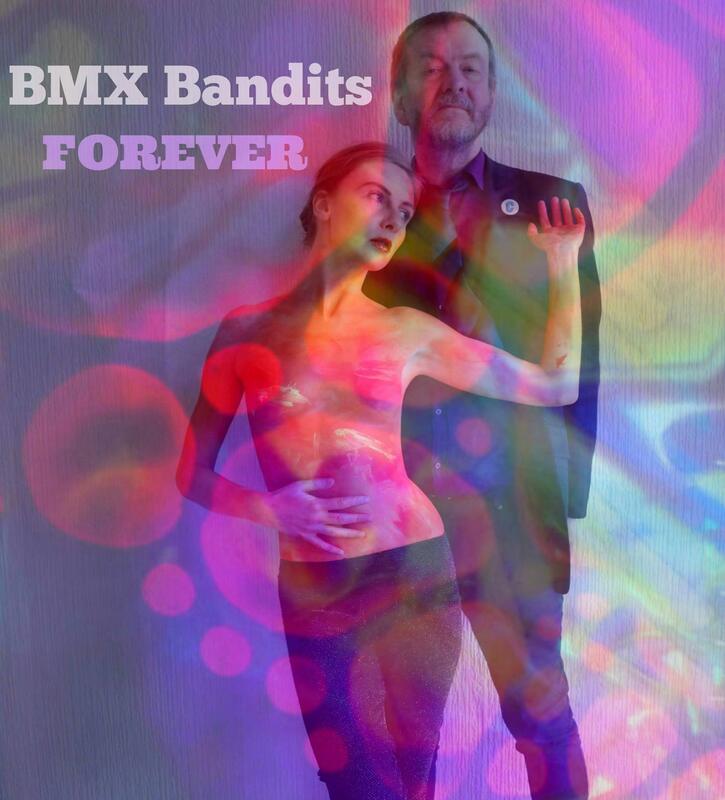 Will BMX Bandits once again turn our wee part of the world into the best place on the planet? You better believe it! Paul Williams is incredibly well-known in the States, but in the UK, there’s next to zero knowledge of him. His songs have been a big, big part of my life. He wrote the songs for The Muppets’ Christmas Carol, an album that’s had as much influence on me as any rock album. He wrote ‘We’ve Only Just Begun’ and ‘Rainy Days And Mondays’ for The Carpenters….The Rainbow Connection….the soundtrack to Bugsy Malone. I’ve only ever watched that film I think twice, but I know all the songs. He won an Oscar for ‘Evergreen’, the theme song for ‘A Star Is Born’, sung by Barbra Streisand. He even collaborated on the last Daft Punk album. Everything he’s been involved in has real heart. Someday Man is mind-blowing. You might know it from The Monkees’ version, but the original has a real gravitas and depth. It’s got that Wrecking Crew kinda feel. The changes of tempo! The not knowing where it’ll go next! The overall feeling you get when you listen to it is one of poignancy and hope. 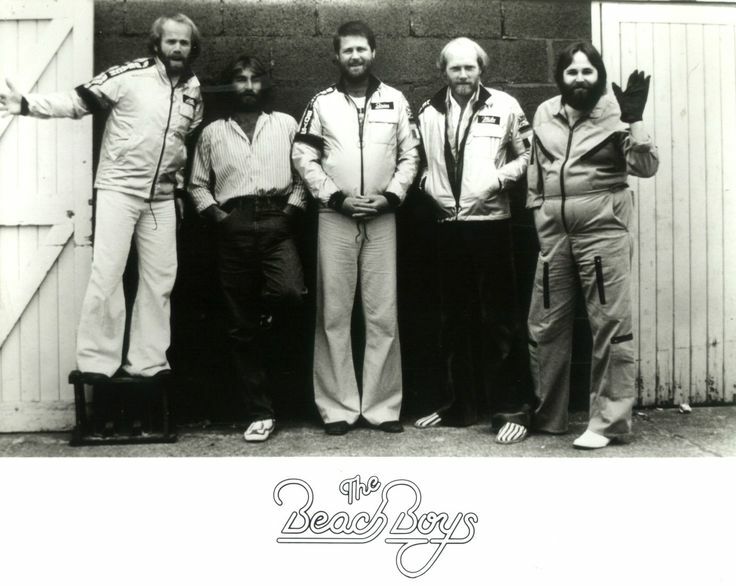 This is my favourite track from my favourite Beach Boys’ album (1977’s Beach Boys Love You). It’s an album held in high esteem. Alex Chilton said it was his favourite Beach Boys’ album too. And Brian Wilson told me it was his! Brian wanted people to feel loved when listening to his music. Music was everything – it was sanctuary. As someone who was incredibly messed up, in the early years by his father, in the later years by bad management, Brian wrote this for himself. It’s a beautiful track. It embraces you. You can sit late at night listening to it, alone, but you’re not totally alone. ‘The Night Was So Young’ comforts you. It’s an aural cuddle. 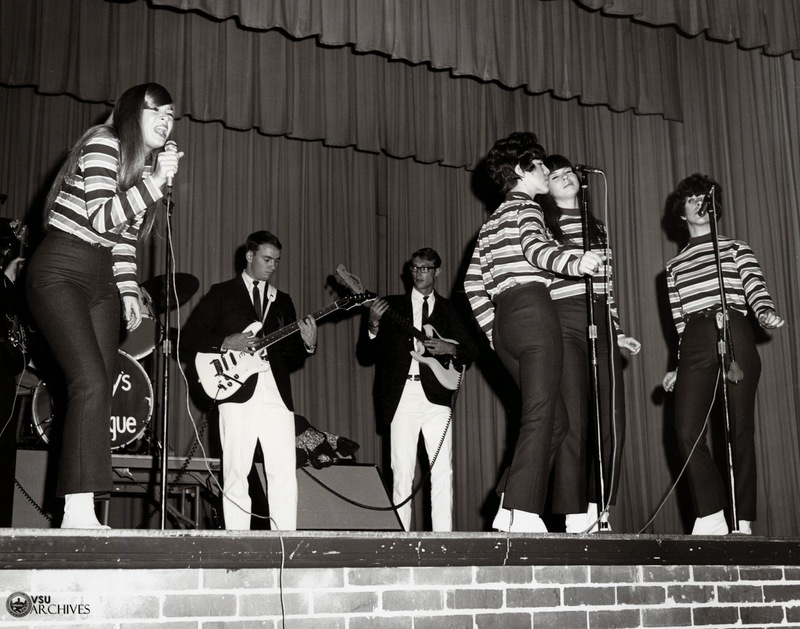 The Shangri Las are my favourite-ever girl group. There’s two distinct sides to them; the celebration songs and the melodramatic heartbreakers. They said more in their songs than film makers with a big budget can do in 2 hours. These songs are movies without pictures, over and done with in 2 and a half minutes. The use of reverb and sound effects, the spoken-word sections, the delivery… it could fall into pastiche, but Mary Weiss makes it real. I love the call-and-response vocals. ‘What colour are his eyes? I dunno – he’s always wearin’ shades.’ The best bit though? ‘Dirty fingernails – Oh what a prize!’ Hahaha! How dreamy! Shangri Las’ records are full of excitement, joy, humour and musical twists. There’s been no-one ever quite like them since. This piece of music is responsible for some of my earliest musical memories, of music affecting me deeply. How could sad, beautiful music make me feel good? I’ve spoken to Jarvis Cocker and he’s told me he feels the same way whenever he hears it. In the early days of primary school, they’d show The Adventures of Robinson Crusoe during the school holidays. 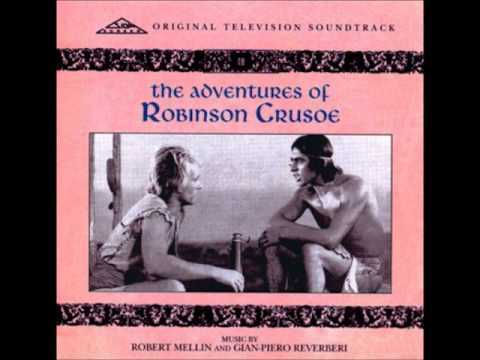 As it was a French-language programme, the BBC re-dubbed it and decided to replace the original score/theme tune with Robert Mellin and Gian-Piero Reverberi’s piece – a vast improvement on the original. I can’t remember much of the actual show, but the music, and the emotions it created, has stayed with me. It’s sad and sentimental. It’s uncontrollable. It’s the key to what I’ve always tried to do with my own music. At less than a year old, this is my most contemporary choice. Bill lives, eats, drinks, breathes and, yes, dreams music. He’s an extraordinary talent. 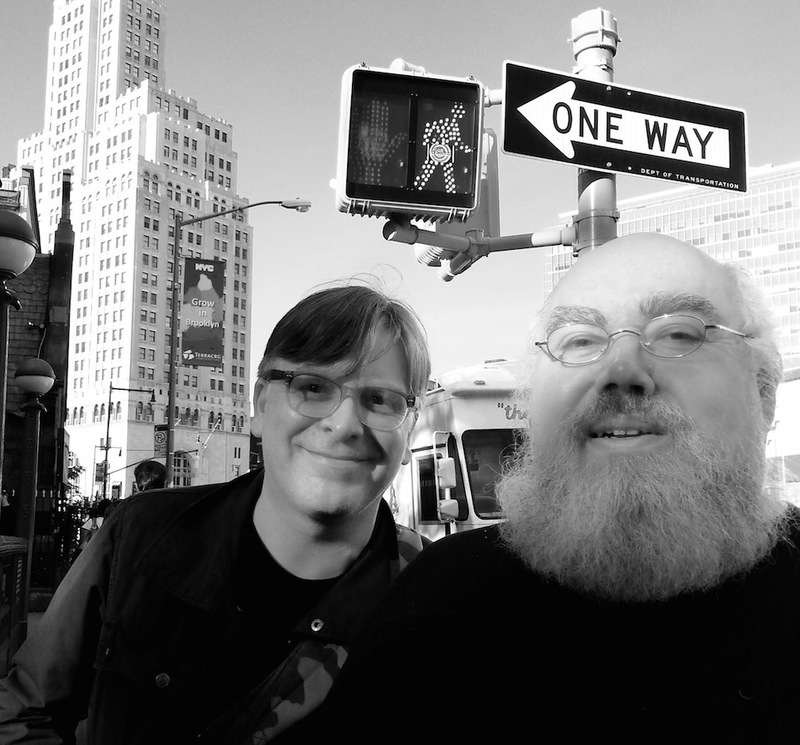 He’s collaborated with a whole host of interesting artists; Yo La Tengo, Future Pilot AKA, Norman Blake…. a whole bunch of people. His Aidan Moffat collaboration was on a completely different level of brilliance. Really terrific. Bill’s a jazz guy, and not conservative by any means. Despite its appearance as wild and free, jazz is actually quite conservative and lead by certain rules. Bill’s an outsider who went against the grain of jazz. He finds sad beauty in music. He has the saddest chords. Unusual rhythmic ideas. He has a knack of spotting the right people to work with. If arranged differently, this track could be a massive hit for a contemporary soul diva. As it is, it’s a very understated piece, with the least earnest, not over-emoted in the slightest vocal you’ll hear on a contemporary piece of music. The singing is understated in a Peggy Lee/Frank Sinatra kinda way, and the track is all the better for it. Bill is easily one of the giants in music today. This has been done a couple of times, of course, by Candlewick Green and Saint Etienne, but the original is the best. It’s the kinda song I want to write! It’s like an actual jigsaw puzzle, where all the individual parts come together into one great picture of sound. It all comes together in a fantastic rush of melodies and counter melodies, call and response vocals, keyboards replicating backing vocals, melody versus melody. Everything fits together beautifully. And look at them! They didn’t want to look like the cool guys, they just wanted to have great music. Not fashionable, but always great. Just like the BMX Bandits. Great choices, eh? Very Duglas, but perhaps pleasantly surprising at the same time. As I said to Duglas during our conversation, hunting down some of these records is going to cost me a fortune. I’ll be keeping a spare tenner though, for the upcoming show in Irvine. Maybe I’ll see you down the front. This is a really fantastic Six Of The Best. 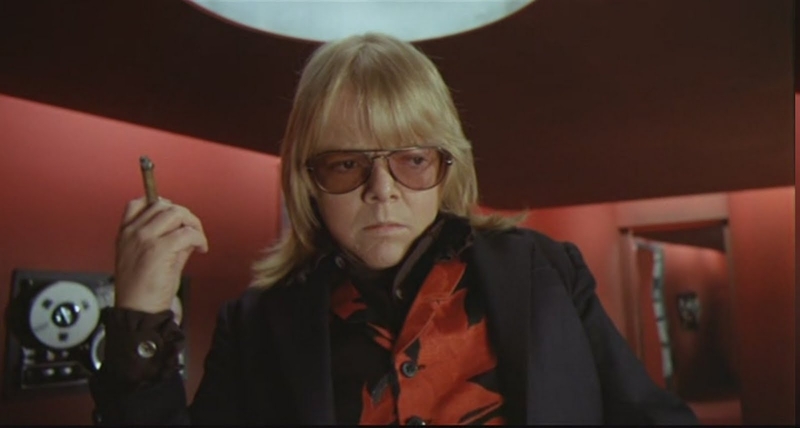 Love the Paul Williams and Beach Boys tracks.And of course the Gian-Paulo Reverberi who wrote the Robinson Crusoe Theme also wrote “Last Man Standing” for one of the Django films (“Build A Coffin Django”), this tune was sampled wholesale by Danger Mouse and became “Crazy” for Gnarls Barkley. Thanks for the wee input. Every day’s a school day! Haha! Magic! Which one’s your brother? Ah, I remember him from The Attic. I was working away from home by then so I lost track of his social life…. he was keen on his music though.